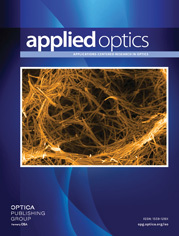 The authors are with University of Rochester, Institute of Optics, Rochester, New York 14627. A two-element gradient-index photographic objective was designed. It operates at f/2 and has a focal length of 50 mm. The half-field of view is 21.8°. The design is compared to the six-element new double Gauss photographic objective and performs well in comparison.